Between the holidays and doing a ton of photo and video work, I haven’t had any time to photograph diecasts...and have literally bought hundreds of cars in the past few months, so it was tough to pick one for a few quick photos tonight. But I ended up choosing a recent toy show find: a Matchbox 1985 Firebird Racecar. I found this loose 80's gem for $1 last month at the Dayton Toy Show and immediately fell in love with the paint scheme. That SON OF A GUN emblazoned across the hood and fenders, along with the red/white/blue STP theme, made this an easy purchase. 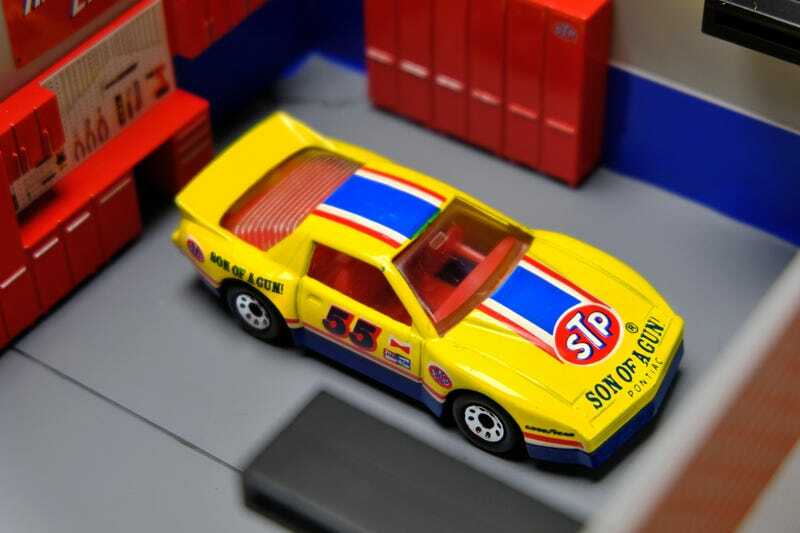 I really wish Matchbox would bring back this and a lot more of their older castings, because this thing would fly off the pegs at $1 — or even at $3! Just take in all that third gen goodness. Yummmmmm.